Usually on Sew, Sew Saturday, I share something I've sewn during the week, a fun pattern or tutorial. 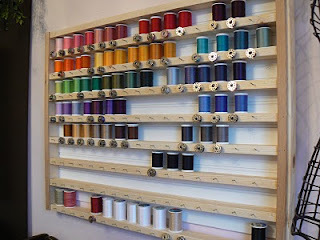 However, I mentioned last week that I wanted to have a linking party for thread organizing ideas. Today and for the rest of the week, I will have the linking party open so you can share how you organize your sewing thread!! 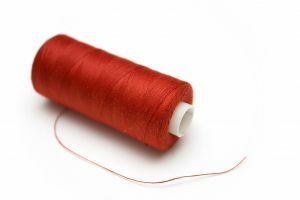 Thread. 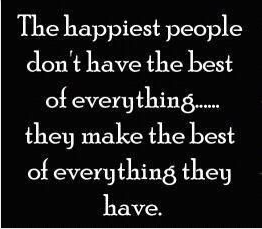 We all have it, love it and keep buying it. 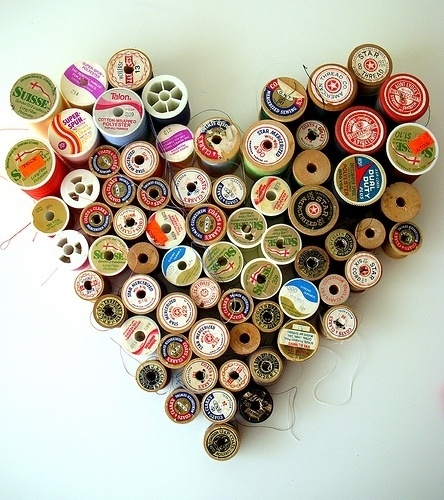 Why do we LOVE thread so much? Is it the colors, the textures or just the mere fact of collecting it!! Ahh...the art of collecting. It's like an addiction. We just want ALL the colors. 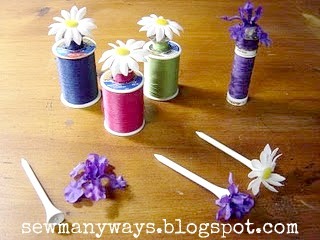 Each thread in the tool box has a golf tee with a flower glued on top and a mini hair elastic around the bobbin.. 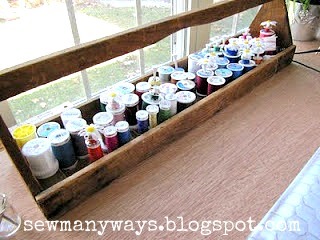 I found this idea on Pinterest and it is fabulous...I must make one of these. The copyright statement from The Creative Homemaker blog allowed me to post the pictures with a link...definitely click here for their blog!! The bobbin is right there with the spool...so cute!! 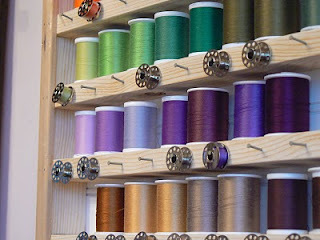 THREAD, THREAD AND MORE THREAD!!! link up to the specific project post, not your whole blog. Makes it easier to link right to that post and not search through your entire blog. To find the http address to a specific post, just click on the Title of "that" post. Copy and paste the address that's at the top of your computer into the linky steps. Some terrific visuals here - thank you for giving me ways to re-organise my collection - I need it!! Great idea Karen, I can't wait to see how everyone stores their threads! Oh my~ love these ideas! Esp. 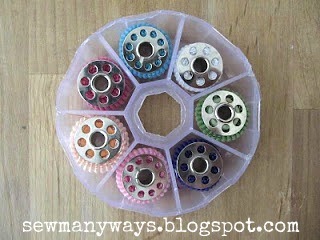 love the bobbins with the hairbands! Genius! great ideas, thank you so much for organizing this linking party. 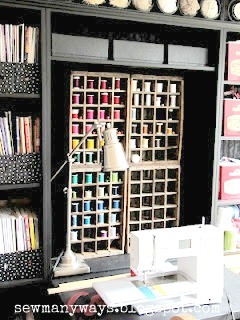 I really want to find a wall cupboard for my threads as when I've had them on open shelves and holders, they get so dusty. I am trying to figure out how to make or find one to buy that is a shallow cupboard with a glass door. I do like the idea of having the bobbin on a hook on the shelf the thread sits on.. but I can keep them in my bobbin holders too. Keep the ideas coming please! Thanks for sharing the links for some great ideas. They make great portable storage for thread and other items when you go on a retreat. I also put my safety pins in one to take advantage of the basting tables. I also use the hot wheels car garages, I like to keep the threads protected from dust and sun. 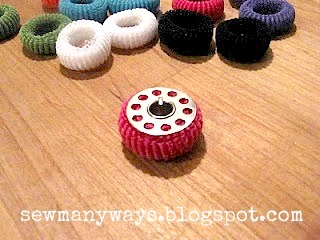 Love the donuts for applique threads bobbins, they fit into my round wool sewing cases I take to sit and stitches. 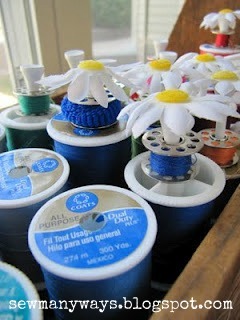 Great inspiration and a fun linky party...thanks! I have BOO-KOO sppons of thread, mostly embroidery threads. 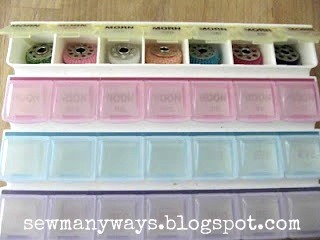 I no longer can read the # on the spools! LOL so I had my Grand teen mark them larger for me, on the inside bottom where there was room. However, How do you store them so that they can be seen? I have yet to find an easy method. I'm storeing them in plastic containers that are clear, about the size of a shoe box, stacked and stored,not prettily displayed at all. ::jaw drop:: LOVE that Pinterest one. Must have! Thanks for nice and cool post. I will be back again. Keep posting.